Earlier this year Xero publicly announced that they would be updating their pricing plans effective June 2, full details are listed below for you. Because Xero lives online, updates and new features are delivered automatically – unlike the clunky and expensive upgrades required for desktop software. Processing payroll can be time-consuming and complex – basically, a major headache for business owners. Payroll in Xero makes it easy to manage your payroll from anywhere. It saves hours of administrative work and lets you lodge reports with the ATO – all from within Xero. Your payroll data automatically appears on your general ledger after a pay run to help keep your accounts up-to-date. Auto-super on premium plans automatically makes contributions to different super funds for your employees. 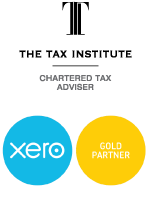 Xero’s auto-super is gold-level certified for SuperStream, the ATO’s new superannuation payments standard. All businesses need to use a SuperStream compliant service by 30 June 2016. With Xero Me, their app for payroll users, employees can request leave and managers can approve or decline it – all from their mobile. Xero Me saves on administration because employees can view their pay history and submit timesheets from anywhere. Save time and hassle by processing final earnings, unused leave balances and any redundancy payments in a single pay run. Increase accuracy because tax on unused leave is calculated automatically. It’s now simpler to view accrued leave and opening balances, and leave requests are automatically included in applicable payruns. Bonuses and commissions will be supported. Plus there’s much more in the pipeline. They’ve reached a point where their prices no longer reflect the strength of payroll and what’s to come. For these reasons, they’ve adjusted the prices of their plans in Australia. The biggest change is to the standard plan, where the limit of payroll employees reduces from five to one. For businesses with two to five employees, they’ve introduced a Premium 5 plan. Premium 5 has up to five payroll employees and the advanced features of auto-super and multi-currency, for $60 per month. If you’re on a standard plan and do a pay run for more than one employee in May, you’ll be switched to the Premium 5 plan on 2 June. Otherwise, you’ll remain on the standard plan. Existing and new premium plans will increase by $10 per month. If you’re on Premium 10 for multi-currency and haven’t ever done a pay run in Xero, you’ll be moved to the Premium 5 plan on 2 June and won’t have a price increase. There are no changes to starter or partner edition plans. No matter how this pricing change affects you, it’s a great time to review your needs and make sure you’re on the Xero plan that best fits your business. For more information about the price changes, or if you have any questions about your current plan and whether the changes affect you, give our team a call on 07 3396 8868 and we would be answer any questions or concerns you might have. Della Nicholson Accounting is a boutique accounting firm in Wynnum Manly, Brisbane. Specialising in accounting & taxation services, bookkeeping, web based software and e-commerce. We concentrate on providing superior personalised service to clients and producing high quality services in a timely manner. We would genuinely love your business. Call us today +617 3396 8868. Member of the Institute of Chartered Accountants in Australia, Registered Tax Agent, Registered ASIC Agent, Taxation Institute of Australia Chartered Tax Advisor.